Nic may have escaped enslavement in the mines outside of Rome, but his troubles are far from over. The Praetor War–the battle to destroy Rome from within–is in full force, and Nic is caught in the crossfire. The secretive Praetors are determined to unlock a powerful amulet–one sure to bring the empire to its knees. Worse, the Praetors believe Nic holds the key to finding this amulet, and they will stop at nothing to steal it, even if that means harming the people Nic holds most dear. 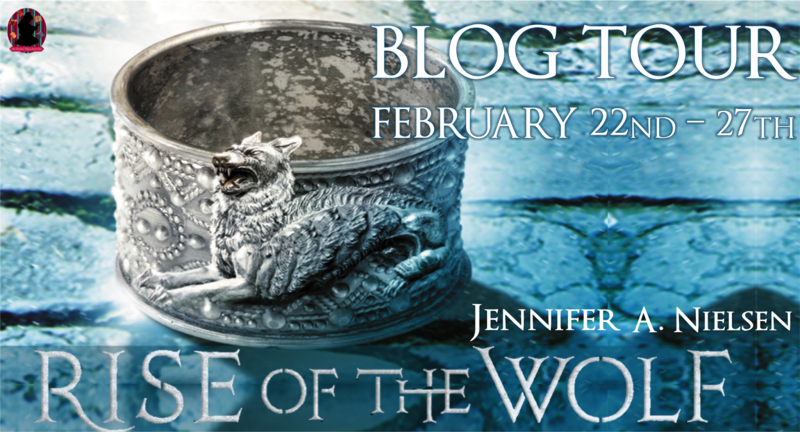 Follow the Rise of the Wolf by Jennifer Nielsen Blog Tour and don’t miss anything! Click on the banner to see the tour schedule.